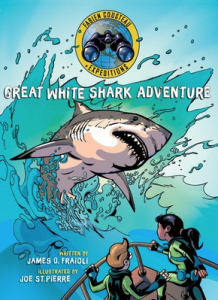 Join Fabien & two young explorers get up close and personal with great white sharks in his first graphic adventure novel in the “Fabien Cousteau Expeditions” series! Join the adventure and purchase your comic HERE today! !